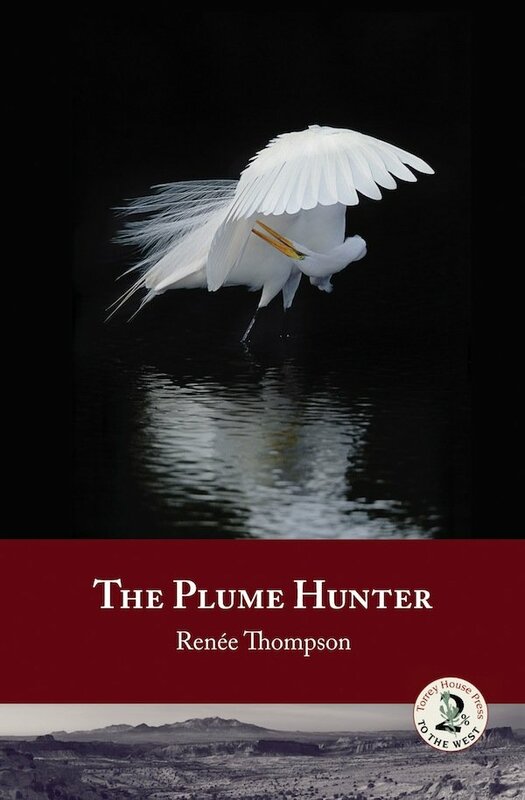 I’ve just finished reading THE PLUME HUNTER (Torrey House Press, December 2011) by Renée Thompson. In this captivating book, Thompson explores the motivation behind hunters who shot birds to sell feathers for women’s hats at the turn of the nineteenth century. Set in the marshes of the Malheur and Lower Klamath regions of 1890’s Oregon, Thompson has crafted a story featuring Fin McFaddin, a plume hunter and the novel’s dark hero, and his best friend Aiden Elliott, a man stalwartly opposed to pluming. The men’s differences not only provide conflict, but propel a plot that expertly weaves both the horror and the appeal of pluming. Interesting to learn, for example, that in 1885 more than five million birds were killed in the United States for the millinery industry, and that in 1904 market hunters in Oregon killed over 120 tons of waterfowl for the restaurant trade in San Francisco, Portland, and Seattle. 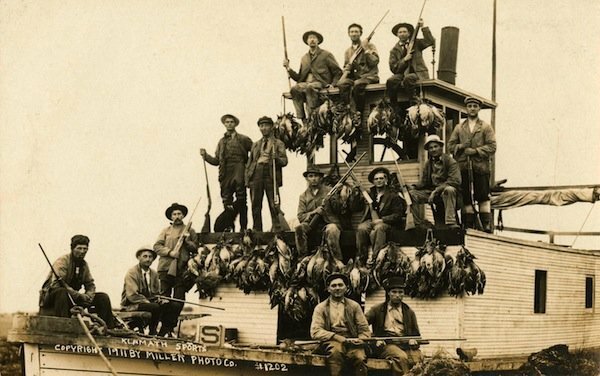 Some of the most prolific killing fields were in the marshes of the American West (I knew about Florida but was surprised at how widespread it was), where men shot birds such as grebes, terns, pelicans, snowy egrets, and great egrets. Plume hunters coveted the aigrettes – long trailing feathers on the egrets’ backs – for the money they brought. In 1903, pluming was so lucrative that an ounce of feathers fetched almost twice as much an ounce of gold. Most birders are at least familiar with some of these details, but what makes Thompson’s novel unique is her determination to delve into her characters’ motivations. What compelled these men, beyond desire for money, to kill birds? Thompson’s protagonist Fin McFaddin is, paradoxically, a bird-lover, and a lover of the great outdoors, as is Aiden Elliott. Hunting, however, fuels Fin’s soul, and so he must hunt, whereas Aiden Elliott comes to abhor the sport; to protect the birds, and to promote himself, Aiden becomes a prominent figure in the formation of the Audubon Society. All in all, I liked Thompson’s book, and am delighted to recommend it to birders and non-birders, alike. If you enjoy this book and its topic, I would also recommend almost anything by William Kittredge, probably starting with his memoir, Hole in the Sky. Kittredge grew up in the area on one of the largest farms in the West. He talks about the birds he saw growing up and their loss due to the habitat changes his family made so they could raise crops and cattle. Kittredge writes with great understanding and a beautiful feel for the land he grew up on. First, thank you for this lovely review, James — I appreciate it so very much. Second, I’d like to mention to David Barber (previous comment) that I too love William Kittredge’s work, and was pleasantly surprised to see the comparison Barber drew between my story and WK’s, since my characters, Fin and Aiden, were inspired by a historical photograph depicting William Finley and Herman Bohlman in Kittredge’s BALANCING WATER. It’s a happy coincidence, and I’m proud to be associated with birders such as James Currie, and writers like Kittredge. Thanks, all, for your interest and support.